Here's a way to get great products and samples for FREE! Pinch Me - this site has special days were you get can claim freebies. You sign up and fill out their survey questions and then come back on the specific date to check out what freebies you can get. L'Oreal Consumer Panel - L'Oreals product testing. Test our some of L'oreals products and give your opinions in surveys. They will give you questionares to see if you qualify for what they need tested. If you're accepted, they will send you instructions and a product to review. Crowd Tap - This website is fun. Fill out "Quick hits" and survey questions on social media for chances to win giftcards every month. Sometimes they have "Sample Share" or "Challenge" missions that will send you free stuff to try and share with your friends. ExpoTV.com - surveys, sometimes Youtube videos are required. This site allows you to review products you already have at home or with a "Tryology", they send you a product to try and review. Swaggable.com - Free samples; add items to your "want list". As they become available, you'll get to add them to your cart and checkout out for FREE to review. You also get 10 of that item to share with your friends with a link. HouseParty.com - Host a house party sponsored by companies. You will get everything you need to host the party. BzzAgent.com - Lots of surveys to win things. Klout.com - Browse or create content to share you social networks. Gain followers and perks that will get you deals and freebies. Ebates - Use Ebates with ALL your online shopping and get cash back! Up to 40% cashback!!! They pay you every quarter by check or Paypal deposit. Sircle Samples - use points to get free samples! Tomoson - is great site to start product testing for reviews. As long as you have a blog, Facebook, Twitter and sometimes Youtube, companies will offer products. These products you can choose to try out (only if you meet their prerequisites). 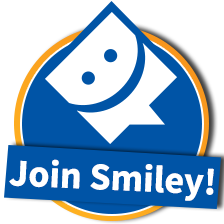 Influenster - just link all your social networking account and increase your score by getting more followers. 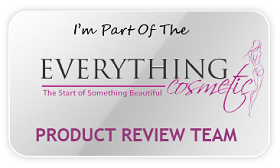 This allows you to partake in reviewing of products on the site and get chances at FREE boxes of goodies to review.